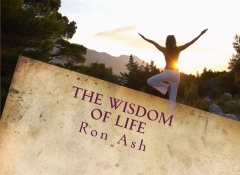 Ron Ash has worked as a life coach for many years teaching and speaking locally, nationally and internationally. He has performed highly in all areas in intuitive assessment tests. He has worked with the upper echelon of international spiritual teachers, writers and directors in the fields of Metaphysics and life after death phenomenon including Gregg Braden, Dr. Joe Vitale, Joseph LoBrutto, Anita Moorjani and Paul Davids .